Motivated by research objectives outlined in the ANILLO Project Statistics for Public Policy in Education, an interdisciplinary Chilean team at the Pontificia Universidad Católica de Chile is carrying out research dedicated to studying school effectiveness. Although this subject is of interest worldwide, our main motivation stems from the recent creation of a new agency within the Chilean government (National Agency of Quality of Education) whose fundamental task is to classify schools based on a methodology recently approved by the Council of the National Agency of Quality of Education (November 2013), and confirmed by the National Council of Education. This (official) methodology uses cognitive and noncognitive information at the student level. The cognitive information is based on a national standardized test (called the SIMCE test) in Mathematics and Language. The non-cognitive information is based on surveys measuring academic self-esteem, personal motivation, internal school climate, and citizenship. The main policy objective of the National Agency of Quality of Education is to improve education quality. To do this, they have taken on the point of view that schools will improve if consequences of not doing so are severe. As a matter of fact, according to a new general education law, schools whose rankings are in the bottom category among four possible performance categories after three years will be closed. It is also assumed that schools practices can be transferred making abstraction of socio-cultural contexts: schools ranked at the top category of school performance are allowed by law to transfer their practices to schools performing poorly. During the last two years, our research group has been furthering research dedicated to better understanding issues associated with school effectiveness. This research covers problems of interpretation of school effectiveness, persistence of school effectiveness, school effectiveness with respect to subpopulations, and value added models and their use for internal accountability. To date, this research has been carried out only considering the Chilean school context related to selectivity process and segregation issues. 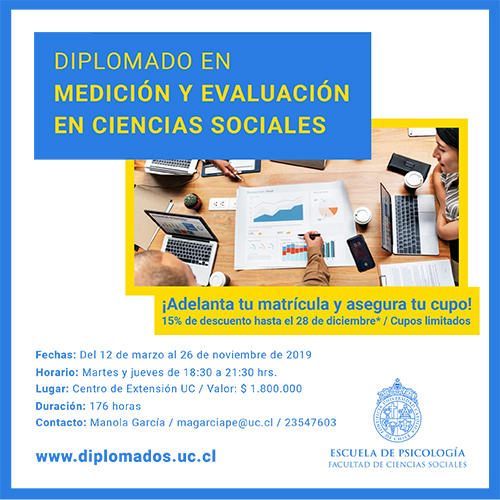 To present research results and foster dialogue among researchers in the field, we are organizing a twoday workshop in Santiago, Chile, January 20 and 21, 2015. The objective of the workshop is to present the scientific contributions made by our research group. For each research contribution, an international expert in the field will discuss them.